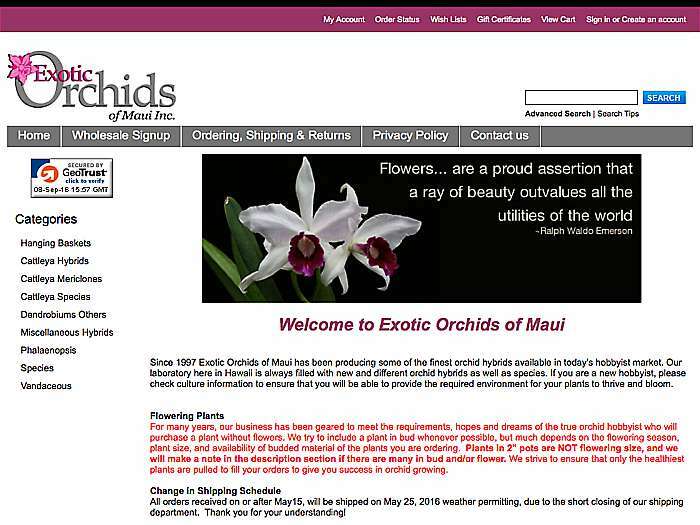 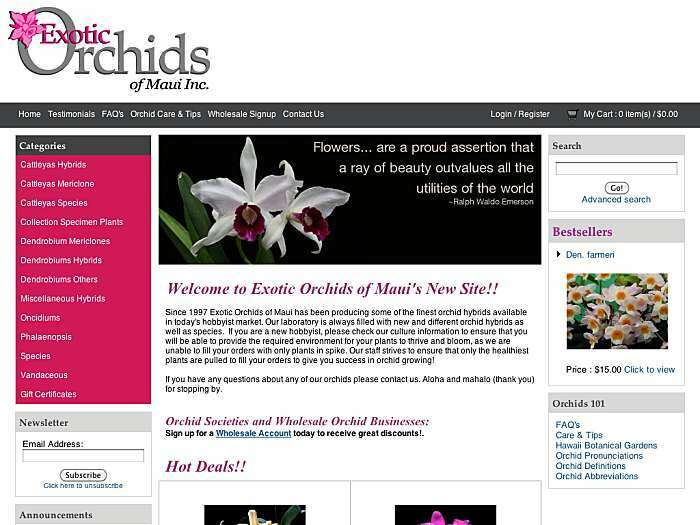 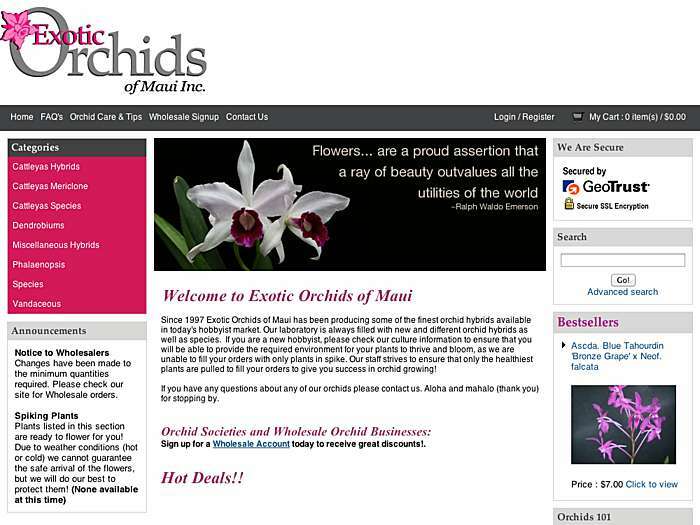 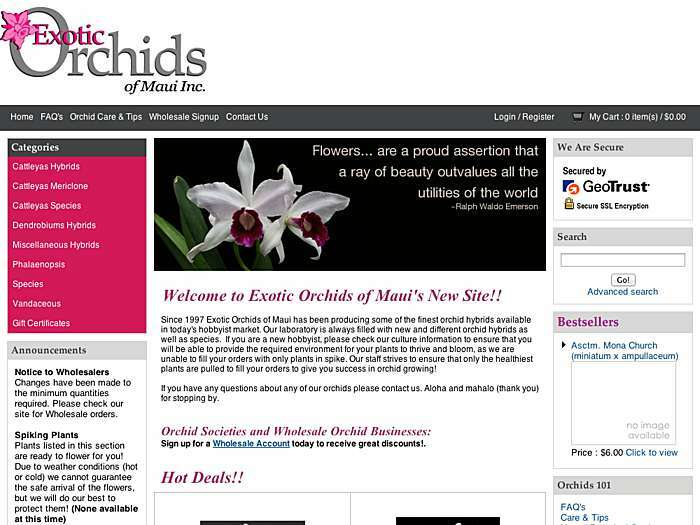 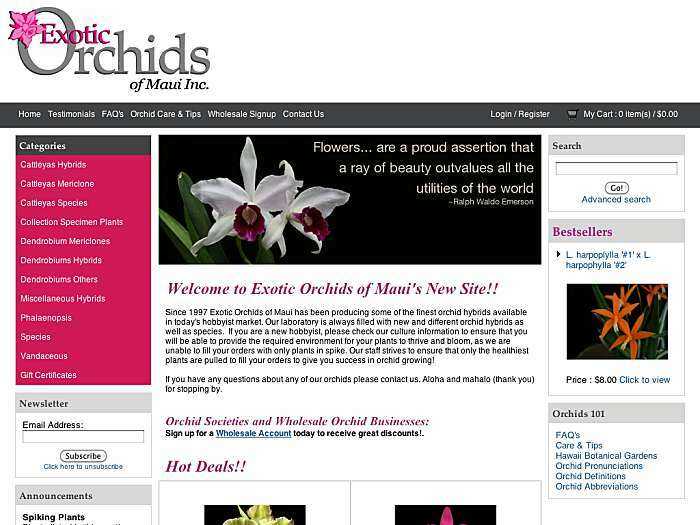 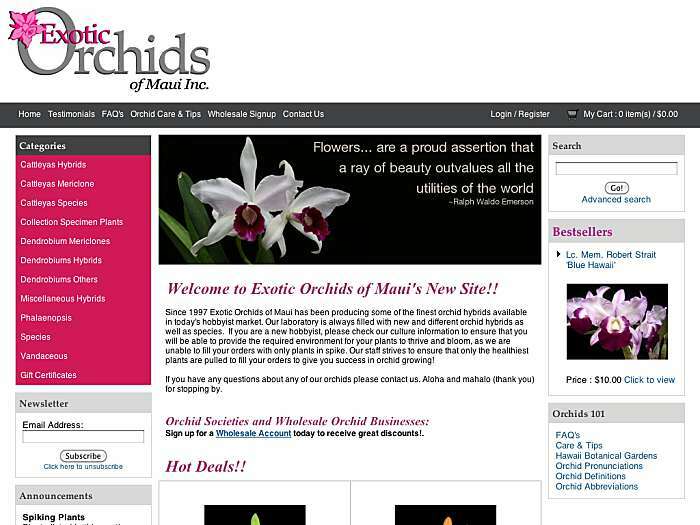 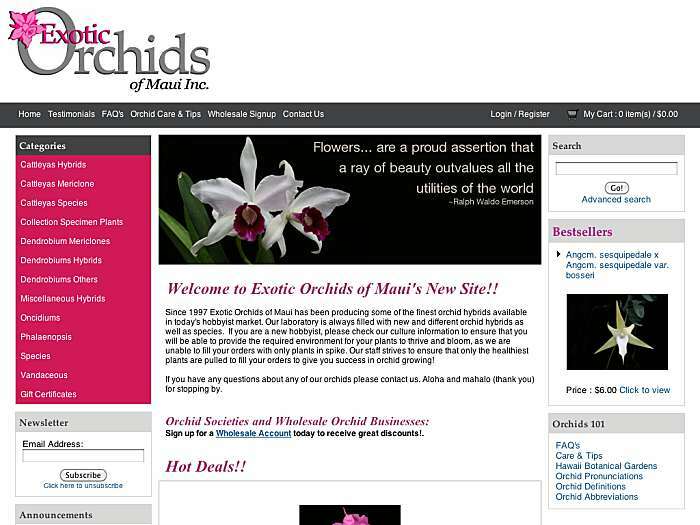 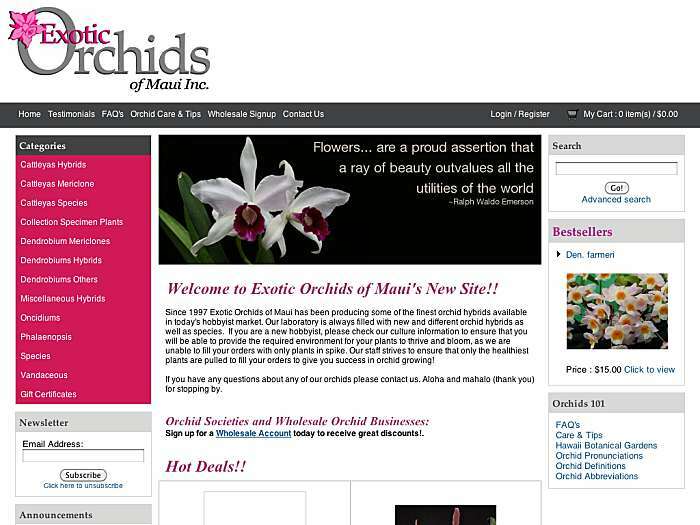 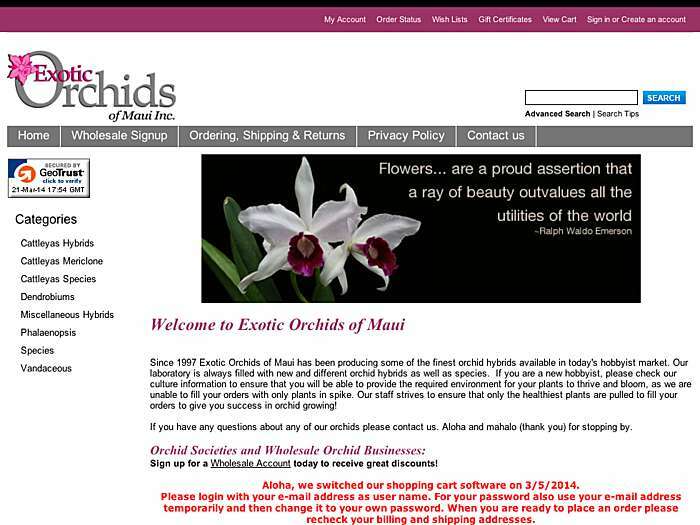 Orchid genera available includes Bulbophyllum, Cattleya, Dendrobium, Oncidium, Phalaenopsis, Paphiopedilum, and Vanda. Established in 1997. Haiku, Hawaii, USA.